You know you've made it when author Michael Chabon uses you to illustrate his point. So, if The LEGO Group was worried, it can rest easy. 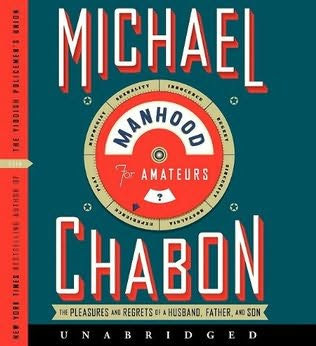 Chabon's new memoir (in stores today), "Manhood for Amateurs: The Pleasures and Regrets of a Husband, Father, and Son," is a series of slightly connected essays that assess his experiences as a child in an effort to understand why he became the man he is today. In one of those essays, "Subterranean," Chabon attempts to talk about his life as a writer, which apparently began as an exhilarated child rummaging through his grandfather's basement. And as he delves into the genesis of his own creativity, Chabon wonders about the creativity of the next generation. 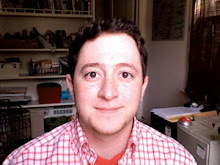 To send home his point, he discusses the box of LEGO bricks that suggested open-ended play in his youth as compared to the ordered kits that stifle creativity and are dominant in toy stores today. I understand Chabon's point, but the LEGO kits that exist today are in a far different world -- one in which the do-it-yourself movement encourages hacking and the Internet provides countless examples of alternative builds. So while he may contend that all of those resources end up limiting our creativity by focusing our imagination on something that already exists, I believe that seeing what others have done, only inspires people to further greatness and innovation. Also, it's a lot more interesting to build inside a community, than on an island. And at the end of the day, whether you buy the bricks in a set or in bulk -- they all end up jumbled in a pile -- ready to be turned into something else.